Are you thinking of downloading videos and audios from YouTube and other websites to your tablet or smartphone? 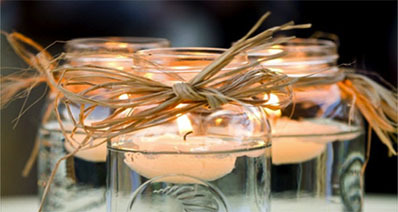 We all know how watching them online can sometimes be hectic especially if you have no regular access to the internet. Sometimes, you need a free MP4 downloader for Mac to download your favourite videos in MP4 formats that can be supported by your device. As such, this post gives a brief introduction of various top notch downloaders that make this quite easy. 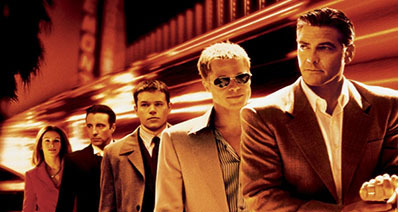 Here is a list of the top 5 free MP4 downloaders for Mac. iTube Studio for Mac is a MP4 downloader for Mac (macOS High Sierra, Sierra, EL Capitan included) that allows you to download videos from YouTube and other websites at speeds that are 3X faster. It automatically detects the video that you want to download and then allows you to download it using a smart download button. Another thing that you will like about this downloader is its ability to download the entire playlist, category or channel from YouTube. You do not have to download one video at a time when you can get all videos using the "Download All" button. Directly download and convert YouTube videos to MP3. Convert the downloaded videos or even your desktop MP4/FLV/WebM videos to any video/audio formats. Easy to build your video library with your own desktop videos and the downloaded videos. 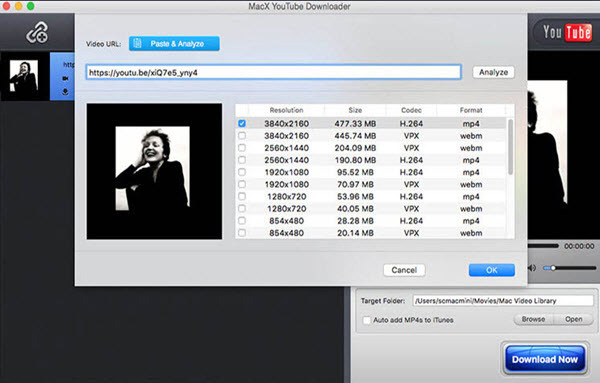 This downloader allows you to download videos from YouTube and other sites online and save them in MP4 and other formats on your Mac PC. Even if you are using an iPad or iPhone, this downloader has you covered. The download process is very simple; you simply need to copy the link of the video that you want to download and then paste it in the downloader. It does not have toolbars, malware or adware that may disturb you when you are downloading videos. With this downloader, you can be able to download MP4 videos easily from YouTube, Facebook, BBC, Daily Motion and more. You just need to paste the URL of the video you want to download to the program to initiate the download process. Besides helping you download MP4 videos with ease, this software can also help you convert the downloaded videos to other formats. It does this at a very high speed and high quality. 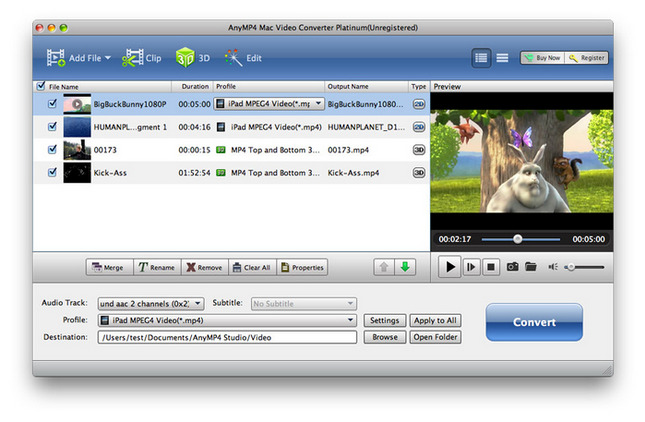 It also allows you to convert the MP4 videos that you have downloaded to audio formats. 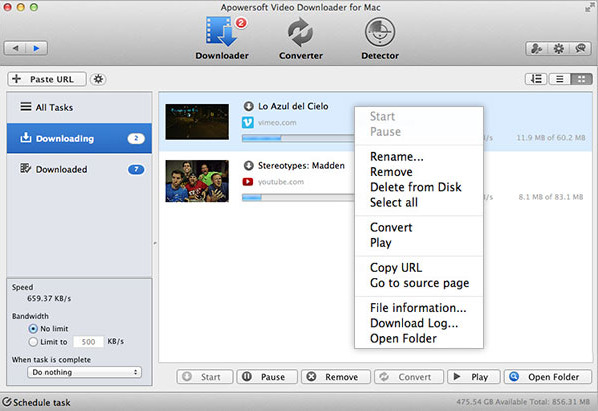 This downloader is specially designed for Mac users to download videos from the internet. You can use it to download MP4 videos from tons of websites, including YouTube, Vimeo, Facebook, Daily Motion, Metacafe, just to mention but a few. Another thing that you will like about this software is its ability to download videos in different resolutions. Whether you want the MP4 videos to be in HD format or a lower resolution, this software will make it possible for you. 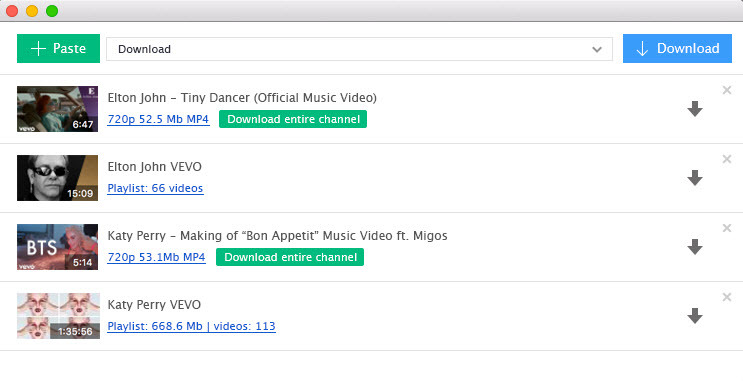 This is one of the best tools to download MP4 videos from YouTube and other sites on your Mac PC. You will find it to be very convenient because it is compatible with many video and audio file formats. Besides downloading videos, this downloader has music playback functionality that allows you to play the downloaded videos without necessarily installing another media player on your Mac. It also serves as a video conversion tool that allows you to convert the downloaded videos into different video and audio formats. The MacX YouYube Downloader is a fantastic free online video downloader that allows you, to not only download videos for free from YouTube, but also from Facebook, Vevo, Metacafe, Vimeo, and many more video sites with only a few clicks of a button. The downloader has been enhanced to enable you to find your way around it with buttons for various functions on the top bar. The app can run in the background after you've chosen all the videos to be downloaded and once it's through, it shuts down leaving the target folder with your downloads open. 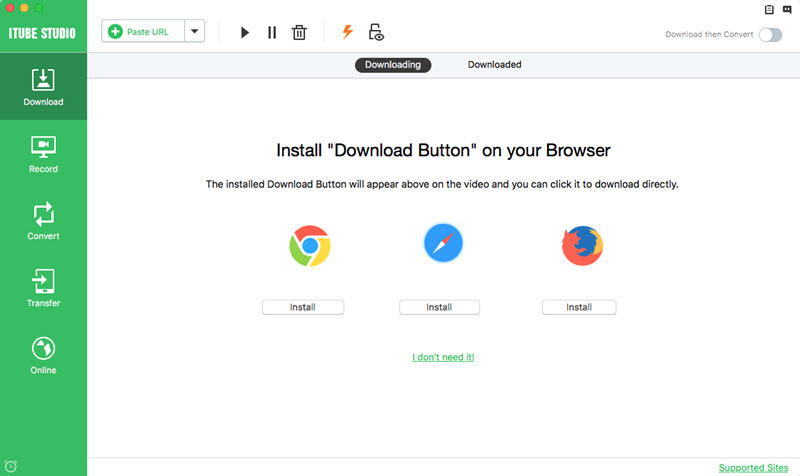 Another remarkable application for Mac is the Kigo Video Downloader that allows you to download for free any videos from YouTube, Veoh, Facebook, and thousands of other websites. What’s attractive about this program is its ability to download and convert videos to formats that can be played by your device. Downloading with the all-in-one program is as easy as dragging or pasting URL of videos to be downloaded from thousands of sites and letting the app do the rest. It has an easy to follow interface that is inclusive of arrows and in-depth descriptions of various functions and buttons. Once a video or audio has been downloaded from YouTube, the Converter T7R Studio, as its name suggests, converts your downloads from YouTube formats to more standard formats that can be played by various smaller devices. It is an excellent program that can convert multiple videos and audios as they are being downloaded at a super fast speed. This program allows download and converting of videos from YouTube and other sites that share videos. It simplifies the task of converting videos into a variety of other video file formats as per the user's preference. 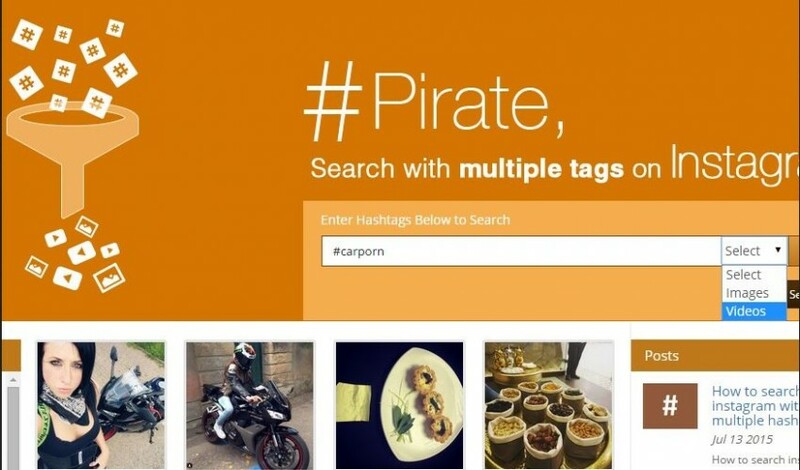 What’s catchy about the application is its ability to download very fast and provision of a feature that allows you to capture the screen when recording a video and edit them easily. 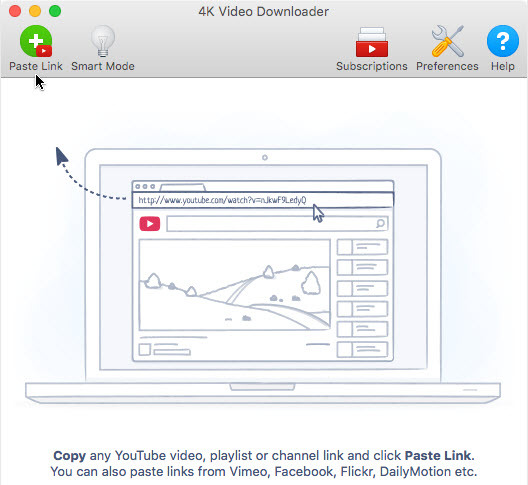 This is another fantastic application for Mac that's offering free downloading of videos from YouTube directly. You can now get to enjoy your videos later on while offline once downloaded. This fabulous app also allows you to convert your videos into the format that you need using its iFunia YouTube Converter for Mac.